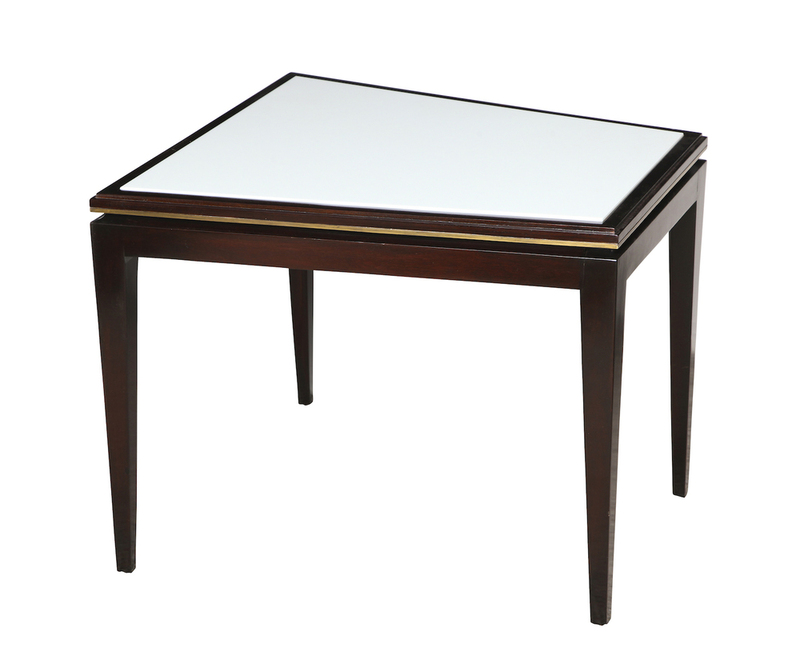 Wedge shaped table of dark stained wood, with brass trim and white carrera glass insert top. 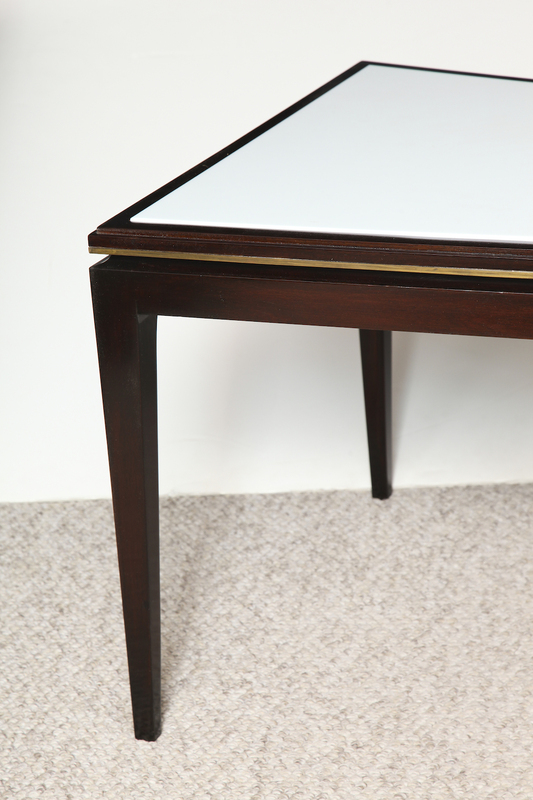 Elegant form with nice detailing. h. 22.5" w. 24" d. 27.5"
Excellent condition with a bit of wear, consistent with age.